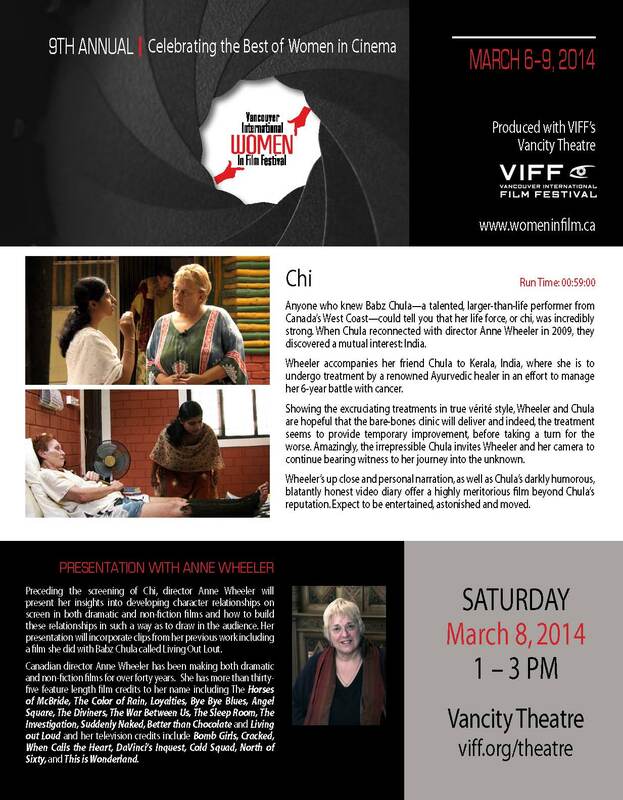 CHI will screen on Saturday, March 8 at 1PM. The screening will begin with a special presentation by Anne (via Skype as she’ll be in Toronto for the Canadian Screen Awards). Tickets are on sale through Vancity Theatre and more information can be found here.